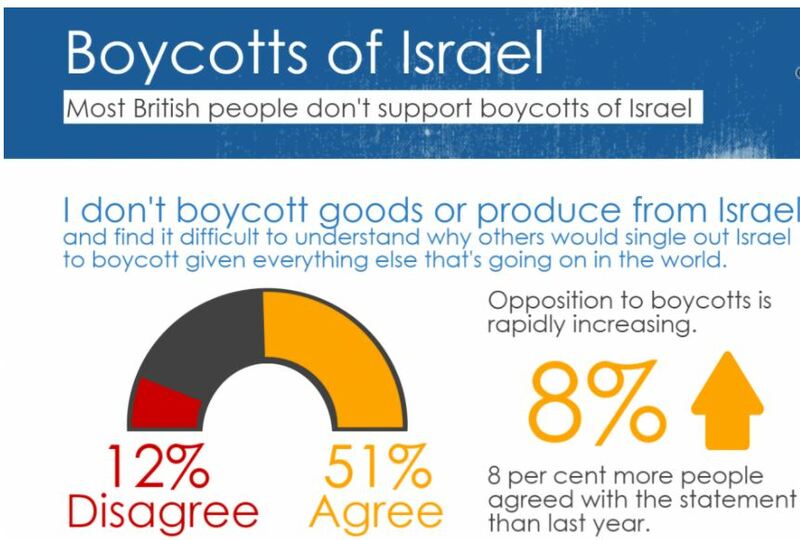 BDS is a movement with negligible support, made up of a relatively small number of radical, far-left Western activists who share a malign obsession towards the one and only Jewish state. Though the actual ‘achievements’ of BDS are few, in the UK, their message is amplified and legitimised by friendly media outlets such as the Guardian, who rush to publish reports of every claimed BDS ‘success’ while failing to report the far more numerous instances of BDS fails. It’s not just that the Guardian gives the erroneous impression that the movement is larger and more influential than it really is. Their contributors, journalists and editors also continually downplay the true goals of BDS, misleadingly casting their leaders as ‘progressives’ who merely seek to end the occupation. Eno, Waters and Loach are among a group of artists who have joined the Boycott, Divestment and Sanctions movement, a global campaign that aims to increase pressure on Israel to end its occupation of Palestinian territories, and lobbies artists, academics and businesses to refrain from engaging with or touring in Israel. Far from being ‘pro-peace’, he openly supports ‘armed Palestinian resistance’ against Israelis, and calls for the end of the Jewish state within any borders. The Guardian also initially included, in the online and print editions of the article, the erroneous claim that the popular rock band U2 (and Bjork) are among the bands supporting BDS. In fact, U2 performed in Tel Aviv in 1997, and their front man, Bono, visited the state (which included a trip to the Western Wall) with his family in 2012. 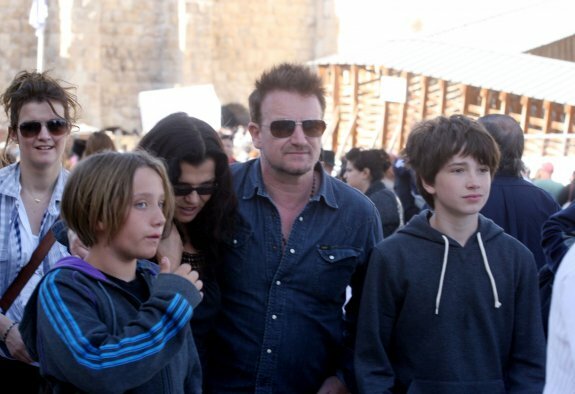 Bono and his family at the Western Wall, 2012. Why do so many journalists peddle the lie that Tel Aviv is the capital of Israel? The Guardian: never let the truth get in the way of a good hate. Do note Adam did not put “occupation” in quotes, implying it is his own (and UKMW’s?) position. Perhaps he could clarify for his readers here whether he believes Judea and Samaria are integral to the Land of Israel. Perhaps some change in the air.